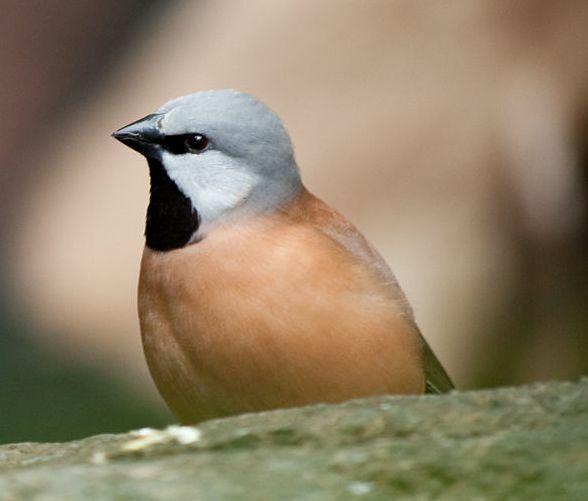 Two weeks ago the Federal Court overturned Commonwealth approval of the contentious Carmichael Mine, granting a short-term reprieve for the endangered Southern Black-throated Finch. At that time, BirdLife wrote to Minister Hunt asking that he consider new evidence regarding the inadequacy of survey data and deeply flawed ‘offset’ proposals that this decision had been previously predicated on. Recently you may have also heard that in response to this legal challenge, the Australian Government has proposed changes to our national environmental laws that would remove the legal rights of citizens and communities to protect the places we love. This right has been enshrined in the Environment Protection and Biodiversity Conservation (EPBC) Act since 1999, when it was introduced by the then Howard Government. As former Deputy Secretary in the Federal Environment Department, who had responsibility for administering the EPBC Act, I know that community rights to challenge government decision-making are essential to ensure good decision-making. They ensure decision-makers focus on acting in accordance with proper legal requirements. In the end, the best approach for governments to avoid legal delays is to take decisions in accordance with the law. Since the EPBC Act was enacted, about 5,500 projects have been referred, but fewer than 30 projects (about 0.5 per cent) have been challenged in the courts. Only six of those challenges have been successful (0.1%). Despite this fact, the Abbott Government has proposed removing community safeguards from the Act as the solution, stripping Australians of their legal rights to stand up for bad decisions about the environment and weakening our national environmental law. BirdLife Australia believes that it is critical to protect the rights of communities to challenge bad decisions in a court of law.These laws were put in place to protect Australia’s most threatened species and most iconic places. They are vital to ensure our birdlife and biodiversity are protected into the future. This move by the Australian Government is just the most recent in a string of attacks designed to weaken the laws that protect the places and wildlife we love. BirdLife Australia is proud to be a founding member of the Places You Love alliance - the biggest collaboration of Australian environment organisations in our nation’s history - which formed in response to this unprecedented pressure on the environmental laws we used to take for granted. If you are interested in learning more about this important community issue and how you can get involved, please sign on to our campaign to protect Australia’s environmental legal framework. Leaders of peak conservation organisations and the legal team for Mackay Conservation Group's successful challenge to Adani's Carmichael coal mine today joined forces to condemn the Federal Government's latest plans to gut Australia's environmental protections. The groups together represent more than two million Australians. Prime Minister Tony Abbott and Attorney-General George Brandis yesterday signalled the government's intention to introduce amendments to the Environment Protection and Biodiversity Conservation Act into parliament this week. The changes are designed to strip away the legal right of communities to object in the courts to major mining and industrial projects that threaten their land, water resources, biodiversity and iconic natural features like the Great Barrier Reef and native forests. Contrary to the government’s claims of an avalanche of “vigilante litigation”, only 0.4% of the 5,500 projects referred for assessment under the EPBC Act have been subject to legal challenge since the Act came into force in 2000. Geoff Cousins, President of the Australian Conservation Foundation, said, "It seems Tony Abbott and George Brandis are determined to make it easier for loggers, miners and big polluters to damage nature by taking away Australians’ democratic right to challenge an approval when the law hasn’t been followed. Dermot O'Gorman, CEO of WWF Australia, said, “The EPBC Act was brought in by the Howard Government to put in place the appropriate safeguards and checks and balances on major development projects. Lyndon Schneiders, National Campaign Director, The Wilderness Society, said, "This government has a tin ear to criticism and will do anything to override community concern and sentiment, including removing community standing to enforce our national environment laws. Mr Brandis's action is a disgrace." Sue Higginson, Principal Solicitor, NSW Environmental Defenders’ Office (who represented Mackay Conservation Group in the Federal Court case that overturned approval of Adani's Carmichael coal mine), said, "The proposed repeal would wind back Australian environmental laws, returning us to a time when the environment was not recognised as requiring protection and communities were sidelined from accessing the courts." Paul Oosting, National Director of GetUp!, said, “Yesterday’s disastrous announcement proves that the government has no respect for the law or for the environment, and reeks of desperation. The EBPC Act was critical to the World Heritage Committee's decision not to place the Reef on the endangered list. This government tried to wind back protections for Tasmanian forests, and it approved one of the world’s largest coal mines near the Great Barrier Reef, places our members have worked tirelessly to protect. “These changes are right out of the play book of the mining industry, and this is a government doing their bidding", Mr Oosting said. 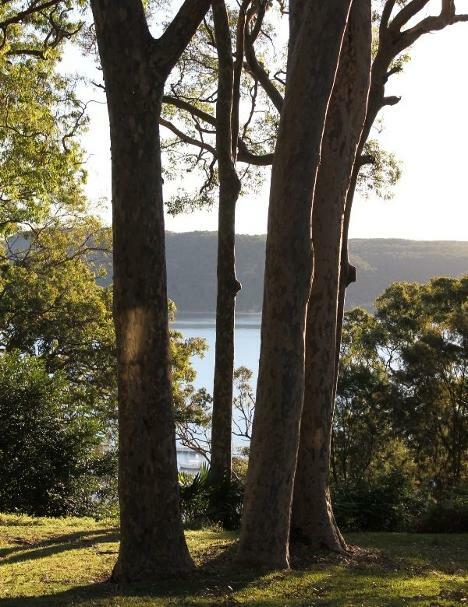 Kate Smolski, Executive Director of the NSW Nature Conservation Council, said, "We have experienced first hand the impact of restricting merit appeal rights, nature and communities pay the price when these protections are removed. Communities under threat from inappropriate development have little recourse in NSW state courts, federal protections under the EPBC Act are the last defence to safeguard against destructive projects. The groups called on the Prime Minister and the Attorney General to act responsibly, and in the public and national interest, and abandon their reckless plans to dismantle a core tenet of Australia's environmental safeguards by denying the community its legal rights on matters of major environmental significance. It is now for the federal Labor Party to show that it cares more about jobs than inner-city greens. The legislation will be introduced into the Parliament for passage through the House of Representatives later this week. August 18, 2015 - Last month, together with our partners Friends of the Koala and the Ballina Environment Society, we delivered over 17,000 signatures urging the NSW Parliament to protect the Ballina koalas. The petition demands that the koala population outside Ballina be protected from work to upgrade the highway there. The planned route for stage 10 of the Pacific Highway upgrade runs straight through the Blackwall Range Wildlife Corridor, home to over 30 endangered species, including a nationally-significant colony of approximately 200 koalas. Your voice has been critical in getting us to this stage but the fight isn't over yet. The petition succeeded in triggering a debate in the NSW Parliament, due to take place on 27th August. You still have a chance to speak up to save the Ballina 200. We need you to send an urgent message to your state MP, asking them to attend the debate and speak out for Ballina's koalas. Thanks to your efforts so far, Federal Environment Minister Greg Hunt insisted on extra studies before the road building can commence. But while those studies continue, the NSW government seems committed to the proposed route, which could wipe out this critical koala population. Let's use this opportunity to demand a rethink. Write to your state MP today and urge them to speak out for koalasduring the parliamentary debate. Help us ensure this critical koala population is not put on the road to extinction. The NSW Environment Protection Authority (EPA) issued a second Clean-up Notice to Centennial Coal yesterday outlining the requirements for the on-going clean-up of the Wollangambe River following an incident at the Clarence Colliery mine on the 2 July 2015. EPA Director South Gary Whytcross said as a result of the incident coal fines have been detected in the Wollangambe River up to 8km downstream of the spill site. “The EPA, in conjunction with the National Parks and Wildlife Service (NPWS), inspected trials undertaken by Centennial Coal last week to remove coal fines in the river. “As a result of the successful trials the EPA issued a Clean-up Notice to the company on Tuesday, outlining the environmental requirements and methods to be used for clean-up of the river. A copy of the Notice is attached to the company’s environment protection licence which is available on the EPA website. 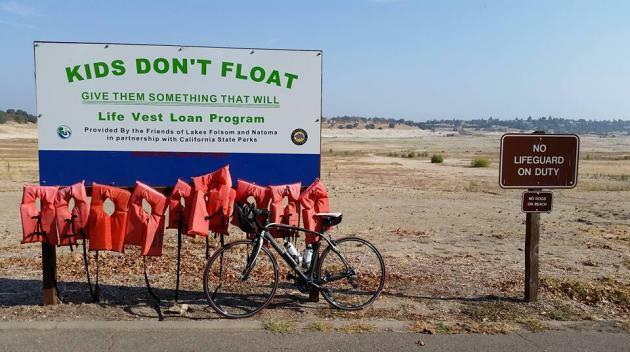 “The Notice requires Centennial Coal to remove coal fines from the river until the EPA is satisfied with the clean-up. Specifically the company must remove coal fines using hand tools only, including using a small suction pump. “Developing a method to remove the coal fines from the river has required careful planning due to the difficult terrain and sensitive environment. Although this method is labour intensive, it poses minimal risk to the river and the riparian zone. “Importantly, four in-stream barriers are in place to limit any downstream movement of the coal fines in the river and assist in the clean-up. “Centennial Coal is required to provide a report to the EPA on the progress of the clean-up, including the length of the river that has been cleaned and the quantity of coal fines removed by 15 September 2015. “The EPA and NPWS will closely monitor the removal of the coal fines from the river and ensure that the Clean-up Notice is adhered to,” he said. Mr Whytcross said the clean-up of the heavier material near the reject emplacement area where the spilled material originated is also progressing. “Over 300 metres of the drainage line closest to the river has been cleaned of coal fines, and the collected material has been bagged and taken away by helicopter. Mr Whytcross said he would also like to thank local bushwalkers who have been assisting the EPA and NPWS to locate and record impacts in areas of the river which are only accessible via foot. The EPA is also continuing its legal investigation, including interviewing Centennial Coal staff and gathering evidence. 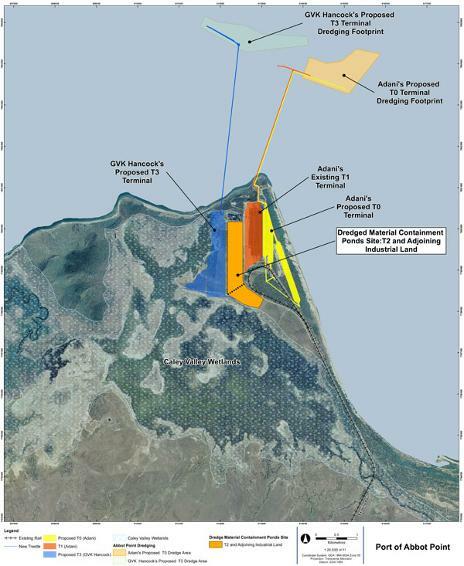 A proposal to make modifications to the Hera Gold Project will be on exhibition from today for community feedback. To make a submission or view the environmental impact statement, visit www.majorprojects.planning.nsw.gov.au. Submissions can be made from Wednesday 19 August 2015 until Wednesday 9 September 2015. 19 Aug 2015 - Surveillance efforts will be stepped up this week, as three of the country's best noses join the fight to sniff out any signs ofRed Imported Fire Ants. Three of Queensland's Department of Agriculture and Fisheries highly-trained detector dogs will be re-checking the initial detection site at a port facility in Port Botany, as well as several high-risk areas within the control zone. NSW Department of Primary Industries (DPI) Director of Invasive Plants and Animals Dr Andrew Sanger said while our Queensland counterparts are sworn enemies on a sporting field, it's a different story when dealing with a biosecurity emergency. "Queensland has been a strong ally throughout this response and has assisted the Department and Local Land Services to respond to the detection," Dr Sanger said. "This is perfect example of cross border cooperation to increase capability to respond to this type of incursion." Dr Sanger said since the detection in November last year, the systematic surveillance campaign has seen more than 1890 hectares of land checked for fire ants, including 1400 residential homes. "This is the second time the Queensland detector dogs have visited the site to help us search for the exotic ants and their ability to search such large areas so quickly and effectively is quite remarkable," Dr Sanger said. Queensland's National Red Imported Fire Ant Eradication Program Director, Sarah Corcoran said it is through the success of such national cost-sharing programs that we are able to achieve national outcomes. "The expertise developed in Queensland under the National Program has contributed to the national capability to respond quickly and effectively to fire ant incursions," Ms Corcoran said. "This expertise has translated into innovations such as the introduction of odour detection dogs in Queensland and now their use here to assist the Port Botany response." Red Imported Fire Ants are a serious exotic and aggressive pest that can inflict painful bites on people, pets and livestock. AGL Macquarie Pty Ltd, which operates the Bayswater Power Station near Muswellbrook, has been fined $15,000 by the NSW Environment Protection Authority (EPA). The Penalty Notice (PN) was issued after AGL Macquarie admitted responsibility for the discharge of ammonia contaminated water into Tinkers Creek. On 9 April 2015 AGL Macquarie reported the incident to the EPA, after approximately 50 – 100 litres of ammoniated water washed into a stormwater drain and then passed through a licensed discharge point into Tinkers Creek, exceeding the pH limit range allowed under the company’s environment protection licence. The incident occurred during a re-certification of a bulk ammonia tank. EPA Manager for the Hunter Region, Adam Gilligan, said in this instance the environmental impact on Tinkers Creek was minimal but the company needs to improve its environmental management systems. “Our investigation has found that the environmental harm was minimal mainly due to the dilution of the ammonia in the water and the relatively small volume which was released. “However this is the third chemical spill incident that AGL Macquarie is responsible for this year which suggests a lack of appropriate environmental controls. "It is for this reason that the EPA has issued the Company with a penalty notice for the offence of failing to comply with an environment protection licence condition. “This incident is a lesson to all companies to plan and manage any water related process with care and consideration of the potential risks to the environment,” Mr Gilligan said. When rangers from the NSW National Parks and Wildlife Service (NPWS) discovered that the Wombats at Bents Basin State Conservation Area, an hours drive from the centre of Sydney, had been exposed to debilitating parasite sarcoptic mange, they decided to take action. August 18, 2015 – A new international study is the first to use a high-resolution, large-scale computer model to estimate how much ice the West Antarctic Ice Sheet could lose over the next couple of centuries, and how much that could add to sea-level rise. The results paint a clearer picture of West Antarctica's future than was previously possible. The study is published in The Cryosphere, an open access journal of the European Geosciences Union (EGU). "The IPCC's [Intergovernmental Panel on Climate Change] 4th and 5th Assessment Reports both note that the acceleration of West Antarctic ice streams in response to ocean warming could result in a major contribution to sea-level rise, but that models were unable to satisfactorily quantify that response," says Stephen Cornford, a research assistant at the University of Bristol, UK and lead-author of the study. "The novel aspect of our work is the use of a high-resolution ice-sheet model over a larger area and longer time-scale than previously attempted. Much like a higher-resolution digital camera transforms a blur into a flock of birds, higher resolution in a computer model often helps to capture details of the physics involved which may be crucial to the broad picture," says co-author Dan Martin from the Lawrence Berkeley National Laboratory in California, US. West Antarctica is one of the fastest warming regions on Earth and its ice sheet has been stage to dramatic thinning in recent years. The West Antarctic Ice Sheet (WAIS) is out of balance because it is losing significant amounts of ice to the ocean, with the losses not being offset by snowfall. The lost ice, drained by the ice sheet's several ice streams, amounts to a significant contribution to sea-level rise, which is expected to increase in the future. "We expect future change in the West Antarctic Ice Sheet to be dominated by thinning in the Amundsen Sea Embayment, just as it is today, until at least the 22nd century. But other regions of West Antarctica could thin to a similar extent if the ocean warms sufficiently," explains Cornford. 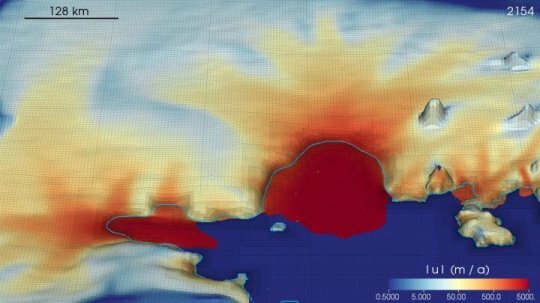 In their most extreme simulation, where the ice shelves progressively disintegrate over the next century, most of the major ice streams retreat by hundreds of kilometres. The WAIS as a whole would contribute some 80,000 cubic kilometres of lost ice to sea-level rise by 2100 and 200,000 cubic kilometres by 2200. This corresponds to a 20 cm increase in global sea level by the end of this century -- sufficient to fill the Caspian Sea -- and close to 50 cm by 2200. While these amounts would be enough to threaten low-lying cities and countries, the researchers point out this is an extreme scenario. "There are many climate processes lying between the direct consequences of greenhouse-gas emissions and the regional ocean warming used as forcing in the modelling reported in The Cryosphere, many of which are poorly understood," explains co-author Tony Payne, a professor at the University of Bristol. "It would therefore be premature to attach a likelihood to any particular retreat scenario; however it is useful to quantify the magnitude of sea-level rise in some of these more extreme cases." The researchers wanted to find out how the ice sheet would respond to both modest and extreme future warming. "We subjected an ice dynamics model to a range of ocean and atmospheric changes, ranging from no change at all, through the future changes projected by state-of-the-art ocean and atmosphere models, to extreme changes intended to study the upper reaches of future sea-level rise," explains Cornford. "The research involved many different steps as the results of global climate models were fed into regional models of the Antarctic atmosphere and ocean, whose results were in turn used to force the ice-sheet model in this study," Payne adds. This comprehensive high-resolution study is a significant improvement from previous calculations, which were lower in resolution or scale, allowing researchers to make more accurate predictions about West Antarctica's future. The above is reprinted from materials provided by European Geosciences Union. Nick Roden: where does half the world's oxygen come from? From the greens of the golf course to the bright white of Antarctica's snow fields, Nick has traded in life as a pro-golfer to research one of the most misunderstood environments known to man - the ocean. Nick is investigating how the ocean can supply oxygen and absorb carbon dioxide and the impact this has on the earth’s environment. 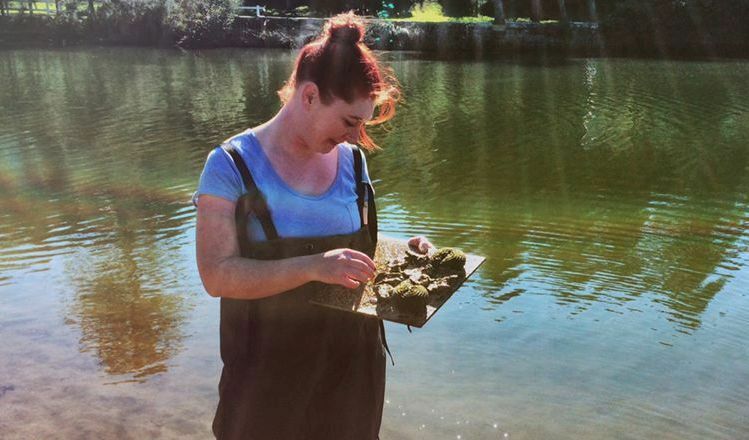 Scientists from University of Western Sydney and Warringah Council are conducting an experiment to see if oysters can improve the water quality of Manly Lagoon. The Sydney oysters are a native species that occur naturally in our lagoons and along our coastline. In a world first, the oysters are being added to Manly Lagoon, to see how they affect its health. The oysters’ survival rates and growth will be monitored along with lagoon conditions. It’s hoped the oysters will improve lagoon health by filtering excessive nutrients that lead to algal blooms. Oysters also play an important role in enhancing the biodiversity in marine ecosystems. To make a submission or view the environmental impact statement, visit www.majorprojects.planning.nsw.gov.au. Submissions can be made from Wednesday 5 August 2015 until Monday 24 August2015. 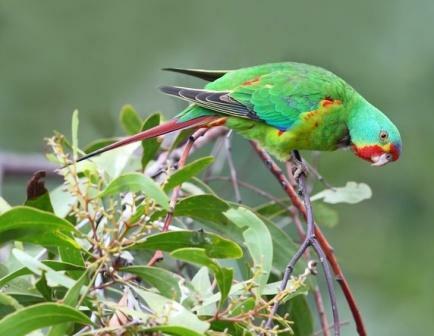 FEDERAL Government freedom of information documents released last week reveal the swift parrot — a tiny, spectacular bird, with a headcount less than 2000 — is bound for extinction. Swifties, as they are known, visit backyards from Melbourne to Brisbane, but return to Tassie to nest in the old trees of the forests in the South and on the East Coast. Put simply, swifties are being logged to extinction, and the Tasmanian Government and Forestry Tasmania is refusing to take action. Last year, the Government rewrote logging rules, ensuring expert advice could be ignored and critical forest damaged. The Government has also pulled out of the national, inter-government recovery team tasked with saving the animal. Scientists have been in the forest for decades, studying the parrot. Their conclusion is inescapable — it’s all over for the swift parrot unless logging is stopped in critical areas and the unique threat of being eaten by introduced sugar gliders is managed. The parrot is also being considered for addition to the critically endangered list, meaning it is one step from extinction. Independent and government experts spent years carefully developing logging rules that would help protect swift parrots. In nesting areas, this means protecting enough old trees to give them a fighting chance. Unfortunately, an agreement — made quietly in 2014 between the Department of Primary Industries and Environment and the Forest Practices Authority — means a maximum of 10 per cent of a forest coupe can be excluded from logging. Documents obtained in April revealed the results — senior department heads routinely approving logging operations against the advice of government-commissioned experts. The language used by the experts is damning, making it clear logging in critical habitat is threatening the swift parrot’s future. Documents released last week show the Government also withdrew from the national recovery team, coinciding with the rewriting of logging rules in 2014. This looks a lot like an attempt to avoid scrutiny. The Government’s actions look suspect, and make little sense. The solutions to protecting habitat are achievable — exclude critical habitat from logging, while fully applying existing rules for threatened species. In this context, the regulatory contortions to allow continued habitat damage look bloody-minded, or at the least stubborn. The other confusing aspect is that the changes to logging rules, withdrawing from the recovery team, and continued logging in breeding areas have all occurred while FT desperately seeks world leading Forest Stewardship Council certification. By all accounts — including those of Forests Minister Paul Harriss — FSC is crucial for the future of Forestry Tasmania and the industry. It seems bizarre that anyone in Government or Forestry Tasmania could convince themselves that the path to the world’s highest forestry standard is via the critically endangered listing and the eventual extinction of the animal most visibly at risk from logging in Tasmania. As a strategy, the Government’s continued opposition to anything that sounds vaguely good for nature, while hoping the world won’t notice as they finish off an endangered species, is failing. Luckily, there is a simple and clear way for the State Government and Forestry Tasmania to take responsibility for ensuring the swift parrot is around for our children — actively co-operate in the swift parrot recovery team, exclude critical habitat from logging, fully implement the threatened fauna adviser as mandatory, and work co-operatively to find solutions to the sugar glider predation problem, without using it as an excuse for inaction on habitat protection. Warrick Jordan is National Forest Campaign manager at The Wilderness Society. The original story appeared in The Mercury. 18 August 2015 - The Bureau of Meteorology today issued its latest advice on the status of the El Niño in the tropical Pacific, confirming the El Niño has continued to strengthen over the past fortnight. The ocean and atmosphere are reinforcing each other, with tropical Pacific Ocean temperatures well above El Niño thresholds, consistently weakened trade winds, and a strongly negative Southern Oscillation Index. Strong coupling of the tropical Pacific Ocean and atmosphere is typical of a mature El Niño, and suggests only a small chance of the event finishing before the end of the year. El Niño is usually associated with below-average winter–spring rainfall over eastern Australia and above-average daytime temperatures over the southern half of the country. However, El Niño is not the only influence on rainfall and temperature; other factors, such as sea surface temperatures to the north of Australia and in the Indian Ocean, also affect Australia's climate. The Indian Ocean Dipole (IOD) continues to remain neutral. A positive IOD event remains possible, with three of the five international models indicating a positive IOD is likely during spring. The other two models remain neutral. The Bureau’s ENSO Tracker was upgraded to El Niño status on 12 May 2015. For the latest updates subscribe to the Bureau’s ENSO Wrap-Up, which is distributed fortnightly on a Tuesday. The scholarship – named after NSW Premier’s Woman of the Year Professor Minoti Apte OAM – will provide eligible staff with relief from teaching and administration to write publications, applications and/or access research assistance. UNSW Medicine Dean Rodney Phillips said the scholarship – the first of its kind in the faculty – reinforces a long and proud tradition of employing and promoting female academics across all schools and affiliated research institutes. “Some of the nation’s leading academics and researchers are also mothers and it is vital that we do everything we can to support women who are balancing parenthood with academia,” Professor Phillips said. Professor Phillips also highlighted the scholarship’s alignment to a University-wide commitment to a pilot of the Athena SWAN program; a highly successful UK-based charter established to encourage career advancement for women in higher education and research working in the fields of science, technology, engineering, maths and medicine (STEMM). Professor Apte said she was thrilled the award was named in her honour and said supporting mothers to continue to flourish in their academic research career is vital. According to the latest Catalyst figures, women hold just 29.9% of ‘above senior lecturer’ positions in Australia. “My path from medical student to senior academic while raising a family was challenging. I was lucky to have received a lot of support but inequality and disadvantage for women returning to work remains a big problem in Australia,” she said. The idea for the scholarship came from Head of the School of Public Health and Community Medicine Professor Raina MacIntyre who has also experienced first-hand the challenge of juggling motherhood with a successful career in academia. “This scholarship is not only about providing mothers with time for research, it is also about sending female academics in the faculty the message that their research and career is important, and that retaining bright women in the workforce is a priority,” she said. The first scholarship recipient is expected to be announced in November 2015. The maximum amount available per scholarship will be $20,000. Aug. 20, 2015 - Numerous recent blogs and web postings are erroneously claiming that an asteroid will impact Earth, sometime between Sept. 15 and 28, 2015. On one of those dates, as rumors go, there will be an impact -- "evidently" near Puerto Rico -- causing wanton destruction to the Atlantic and Gulf coasts of the United States and Mexico, as well as Central and South America. Another thing Chodas and his team do know -- this isn't the first time a wild, unsubstantiated claim of a celestial object about to impact Earth has been made, and unfortunately, it probably won’t be the last. It seems to be a perennial favorite of the World Wide Web. In 2011 there were rumors about the so-called “doomsday” comet Elenin, which never posed any danger of harming Earth and broke up into a stream of small debris out in space. Then there were Internet assertions surrounding the end of the Mayan calendar on Dec. 21, 2012, insisting the world would end with a large asteroid impact. And just this year, asteroids 2004 BL86 and 2014 YB35 were said to be on dangerous near-Earth trajectories, but their flybys of our planet in January and March went without incident -- just as NASA said they would. August 21, 2015 - Obese atrial fibrillation patients have a lower chance of arrhythmia recurrence if they have high levels of cardiorespiratory fitness, and risk continues to decline as exercise capacity increases as part of treatment, according to a study published in the Journal of the American College of Cardiology. Cardiorespiratory fitness gain provides an incremental gain over weight loss in long-term freedom from arrhythmia. "While weight loss is important for heart disease patients, especially those with arrhythmia, our study shows it's beneficial to have high cardiorespiratory fitness and continue to improve on that," said Prashanthan Sanders, M.B.B.S., Ph.D., senior author of the study and director of the Centre for Heart Rhythm Disorders at the University of Adelaide in Adelaide, Australia. "An ideal treatment plan would include a focus on both." Atrial fibrillation is the most common type of arrhythmia, or abnormal heart rhythm, affecting about 1 percent of the U.S. population and over 33 million people worldwide. A high body mass index is a risk factor for atrial fibrillation. Low physical activity can also be a risk factor for atrial fibrillation, so researchers evaluated 825 atrial fibrillation patients with a BMI of over 27, which is considered in the overweight range. After exclusions, 308 patients were divided into low, adequate and high cardiorespiratory fitness groups based on baseline exercise performance and followed for four years to measure their fitness levels' impact on arrhythmia recurrence. Patients were also offered a physician-led program designed to produce weight loss and increase exercise activity. Cardiorespiratory fitness is a person's exercise capacity. It is a component of overall physical fitness involving the ability of the circulatory, respiratory and muscular systems to supply oxygen during sustained physical activity. After four years of follow up, 17 percent of patients in the low cardiorespiratory fitness group were free from arrhythmia, compared to 76 percent in the adequate group and 84 percent in the high group. Those who improved upon their cardiorespiratory fitness had even further risk reduction. Researchers found that for every increase in metabolic equivalent, or MET, a measure of the amount of oxygen consumed at rest, there was a 20 percent reduction in risk of arrhythmia recurrence, and this increase was still shown after adjusting for weight changes and baseline exercise performance. MET measures are used to determine exercise capacity in terms of energy a person uses to participate in physical activity. Patients were also divided into four groups to determine freedom from arrhythmia based on weight loss and gains in exercise capacity, and researchers found that a gain in exercise capacity greater than 2 METs in addition to weight loss was associated with two times greater freedom from arrhythmia. In an accompanying editorial comment, Paul D. Thompson, M.D., FACC, chief of cardiology at Hartford Hospital in Hartford, Connecticut, said, "What's most exciting about this new study is that it is the first to demonstrate that increasing exercise capacity reduces atrial fibrillation risk. "These new results, and the cumulative data linking moderate physical activity to reduced atrial fibrillation risk, suggest that until definitive trial data are available, clinicians should recommend moderate exercise training to our patients with atrial fibrillation, not only to reduce atrial fibrillation, but also for its overall cardiovascular benefits." A Japanese drink company is paying big money to send its sports drink to the moon. How does this stunt play into how advertising is changing? August 17, 2015 - Generally speaking, language processing is a job for the brain's left hemisphere. That's true whether that language is spoken, written, or signed. But researchers reporting in the Cell Press journalCurrent Biology on August 17 have discovered an exception to this rule in a most remarkable form: whistled Turkish. "We are unbelievably lucky that such a language indeed exists," says Onur Güntürkün of Ruhr-University Bochum in Germany. "It is a true experiment of nature." 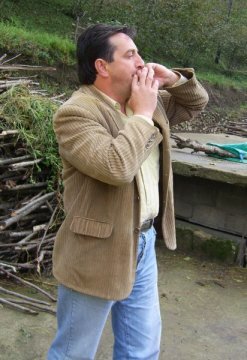 Whistled Turkish is exactly what it sounds like: Turkish that has been adapted into a series of whistles. This method of communicating was popular in the old days, before the advent of telephones, in small villages in Turkey as a means for long-distance communication. In comparison to spoken Turkish, whistled Turkish carries much farther. While whistled-Turkish speakers use "normal" Turkish at close range, they switch to the whistled form when at a distance of, say, 50 to 90 meters away. "If you look at the topography, it is clear how handy whistled communication is," Güntürkün says. "You can't articulate as loud as you can whistle, so whistled language can be heard kilometers away across steep canyons and high mountains." Whistled Turkish isn't a distinct language from Turkish, Güntürkün explains. It is Turkish converted into a different form, much as the text you are now reading is English converted into written form. Güntürkün, who is Turkish, says that he still found the language surprisingly difficult to understand. "As a native Turkish-speaking person, I was struck that I did not understand a single word when these guys started whistling," he says. "Not one word! After about a week, I started recognizing a few words, but only if I knew the context." Whistled Turkish is clearly fascinating in its own right, but Güntürkün and his colleagues also realized that it presented a perfect opportunity to test the notion that language is predominantly a left-brained activity, no matter the physical structure that it takes. That's because auditory processing of features, including frequency, pitch, and melody--the stuff that whistles are made of--is a job for the right brain. The researchers examined the brain asymmetry in processing spoken versus whistled Turkish by presenting whistled-Turkish speakers with speech sounds delivered to their left or right ears through headphones. The participants then reported what they'd heard. While individuals more often perceived spoken syllables when presented to the right ear, they heard whistled sounds equally well on both sides. "We could show that whistled Turkish creates a balanced contribution of the hemispheres," Güntürkün says. "The left hemisphere is involved since whistled Turkish is a language, but the right hemisphere is equally involved since for this strange language all auditory specializations of this hemisphere are needed." That's important, the researchers say, because it means that the left-hemispheric dominance in language does depend on the physical structure the language takes. They now plan to conduct EEG studies to look even more closely at the underlying brain processes in whistled-Turkish speakers. August 18, 2015 - For students, the start of the school year means new classes, new friends, homework and sports. It also brings the threat of head lice. The itch-inducing pests lead to missed school days and frustrated parents, who could have even more reason to be wary of the bug this year. Scientists report that lice populations in at least 25 states have developed resistance to over-the-counter treatments still widely recommended by doctors and schools. The researchers are presenting their work today at the 250th National Meeting & Exposition of the American Chemical Society (ACS). "We are the first group to collect lice samples from a large number of populations across the U.S.," says Kyong Yoon, Ph.D. "What we found was that 104 out of the 109 lice populations we tested had high levels of gene mutations, which have been linked to resistance to pyrethroids." Pyrethroids are a family of insecticides used widely indoors and outdoors to control mosquitoes and other insects. It includes permethrin, the active ingredient in some of the most common lice treatments sold at drug stores. Yoon, who is with Southern Illinois University, Edwardsville, explains that the momentum toward widespread pyrethroid-resistant lice has been building for years. The first report on this development came from Israel in the late 1990s. Yoon became one of the first to report the phenomenon in the U.S. in 2000 when he was a graduate student at the University of Massachusetts, Amherst. "I was working on insecticide metabolism in a potato beetle when my mentor, John Clark, suggested I look into the resurgence of head lice," he says. "I asked him in what country and was surprised when he said the U.S."
Intrigued, Yoon followed up on the lead and contacted schools near the university to collect samples. He suspected that the lice had developed resistance to the most common insecticides people were using to combat the bugs. So he tested the pests for a trio of genetic mutations known collectively as kdr, which stands for "knock-down resistance." kdr mutations had initially been found in house flies in the late '70s after farmers and others had shifted to pyrethroids from DDT and other harsh insecticides. Yoon found that many of the lice did indeed have kdr mutations, which affect an insect's nervous system and desensitize them to pyrethroids. Since then, he has expanded his survey. In the most recent study, he cast the widest net yet, gathering lice from 30 states with the help of a broad network of public health workers. Population samples with all three genetic mutations associated with kdr came from 25 states, including California, Texas, Florida and Maine. Having all the mutations means these populations are the most resistant to pyrethroids. Samples from four states -- New York, New Jersey, New Mexico and Oregon -- had one, two or three mutations. The only state with a population of lice still largely susceptible to the insecticide was Michigan. Why lice haven't developed resistance there is still under investigation, Yoon says. The solution? Yoon says that lice can still be controlled by using different chemicals, some of which are available only by prescription. But the situation also offers a cautionary tale. "If you use a chemical over and over, these little creatures will eventually develop resistance," Yoon says. "So we have to think before we use a treatment. The good news is head lice don't carry disease. 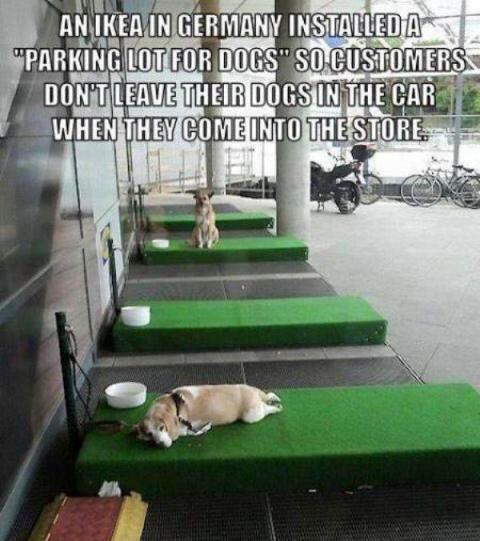 They're more a nuisance than anything else." The revolutionary EnChroma Cx Lens fundamentally boosts color vision, bringing color to the color blind.How does it work? What are the implications? They could include anything from overcoming activity, task, and learning obstacles to discovering new and breathtaking sensory experiences. Nearly 300 million people experience the world without certain colors every day. ‘Color For the Colorblind’ is a short documentary about what happened when we partnered with EnChroma, maker of color blindness-correcting glasses, to help people experience colors for the first time. We believe in #ColorForAll. The benefits of the EnChroma glasses were discovered by accident in 2005 when materials scientist Don McPherson, who created eyewear for doctors to use during laser surgery, was playing frisbee with a friend. McPherson was wearing a pair of his special spectacles as sunglasses when his friend, who was colourblind, asked to borrow them. He discovered that the world was suddenly much more vibrant, with oranges and reds significantly more visible, and soon after McPherson set to work on what would become EnChroma's life-changing glasses. August 20, 2015 - A widely used class of industrial chemicals linked with cancer and interference with immune function - perfluorinated alkylate substances, or PFASs - appears to build up in infants by 20%-30% for each month they're breastfed, according to a new study co-authored by experts from Harvard T.H. Chan School of Public Health. It is the first study to show the extent to which PFASs are transferred to babies through breast milk, and to quantify their levels over time. "We knew that small amounts of PFAS can occur in breast milk, but our serial blood analyses now show a buildup in the infants, the longer they are breastfed," said Philippe Grandjean, adjunct professor of environmental health at Harvard Chan School. The study appeared online August 20, 2015 in Environmental Science & Technology. Other study authors were from Danish universities and the Faroese Hospital System. PFASs are used to make products resistant to water, grease, and stains. They've been in use for more than 60 years in products such as stain-proof textiles, waterproof clothing, some food packaging, paints, and lubricants, and are known to contaminate drinking water in the U.S. near various production facilities. These compounds--which tend to bioaccumulate in food chains and can persist for a long time in the body--are found regularly in the blood of animals and humans worldwide, and have been linked with reproductive toxicity, endocrine disruption, and immune system dysfunction. The researchers followed 81 children who were born in the Faroe Islands between 1997-2000, looking at levels of five types of PFASs in their blood at birth and ages 11 months, 18 months, and 5 years. They also looked at PFAS levels in mothers of the children at week 32 of pregnancy. They found that, in children who were exclusively breastfed, PFAS concentrations in the blood increased by roughly 20%-30% each month, with lower increases among children who were partially breastfed. In some cases, by the end of breastfeeding, children's serum concentration levels of PFASs exceeded that of their mothers'. One type of PFAS--perfluorohexanesulfonate--did not increase with breastfeeding. After breastfeeding was stopped, concentrations of all of five types of PFASs decreased. The results suggest that breast milk is a major source of PFAS exposure during infancy. "There is no reason to discourage breastfeeding, but we are concerned that these pollutants are transferred to the next generation at a very vulnerable age. Unfortunately, the current U.S. legislation does not require any testing of chemical substances like PFASs for their transfer to babies and any related adverse effects," Grandjean said. Funding for the study came from the National Institute of Environmental Health Sciences, NIH (ES012199); the U.S. Environmental Protection Agency (R830758); the Danish Council for Strategic Research (09-063094); and the Danish Environmental Protection Agency as part of the environmental support program DANCEA (Danish Cooperation for Environment in the Arctic). August 19, 2015 - Patients with hypertension treated with acupuncture experienced drops in their blood pressure that lasted up to a month and a half, researchers with the Susan Samueli Center for Integrative Medicine have found. Longhurst and his UCI colleagues Dr. Peng Li and Stephanie Tjen-A-Looi conducted tests on 65 hypertensive patients who were not receiving any hypertension medication. Separated randomly into two groups, the subjects were treated with electroacupuncture -- a form of the practice that employs low-intensity electrical stimulation -- at different acupoints on the body. In one group of 33 receiving electroacupuncture on both sides of the inner wrists and slightly below each knee, the researchers found a noticeable drop in blood pressure rates in 70 percent of participants -- an average of 6 to 8 mmHg for systolic blood pressure (the high number) and 4 mmHg for diastolic blood pressure (the low number). These improvements persisted for a month and a half. Although the blood pressure reductions in the first cohort were relatively small -- mostly in the 4-to-13-mmHg range -- the researchers noted that they were clinically meaningful and that the technique could be especially useful in treating systolic hypertension in patients over 60. August 17, 2015 - Research has shown that a regular dose of aspirin reduces the long-term risk of cancer in those who are overweight in an international study of people with a family history of the disease. The study, conducted by researchers at Newcastle University and the University of Leeds, UK, is published in the Journal of Clinical Oncology. They found that being overweight more than doubles the risk of bowel cancer in people with Lynch Syndrome, an inherited genetic disorder which affects genes responsible for detecting and repairing damage in the DNA. Around half of these people develop cancer, mainly in the bowel and womb. However, over the course of a ten year study they found this risk could be counteracted by taking a regular dose of aspirin. Professor Sir John Burn, professor of Clinical Genetics at Newcastle University who led the international research collaboration, said: "This is important for people with Lynch Syndrome but affects the rest of us too. Lots of people struggle with their weight and this suggests the extra cancer risk can be cancelled by taking an aspirin. "This research adds to the growing body of evidence which links an increased inflammatory process to an increased risk of cancer. Obesity increases the inflammatory response. One explanation for our findings is that the aspirin may be supressing that inflammation which opens up new avenues of research into the cause of cancer." The randomised controlled trial is part of the CAPP 2 study involving scientists and clinicians from over 43 centres in 16 countries which followed nearly 1,000 patients with Lynch Syndrome, in some cases for over 10 years. 937 people began either taking two aspirins (600 mg) every day for two years or a placebo. When they were followed up ten years later, 55 had developed bowel cancers and those who were obese were more than twice as likely to develop this cancer -- in fact 2.75 times as likely. Following up on patients who were taking two aspirins a day revealed that their risk was the same whether they were obese or not. Professor John Mathers, Professor of Human Nutrition at Newcastle University who led this part of the study said: "For those with Lynch Syndrome, we found that every unit of BMI above what is considered healthy increased the risk of bowel cancer by 7%. What is surprising is that even in people with a genetic predisposition for cancer, obesity is also a driver of the disease. Indeed, the obesity-associated risk was twice as great for people with Lynch Syndrome as for the general population. "The lesson for all of us is that everyone should try to maintain a healthy weight and for those already obese the best thing is to lose weight. However, for many patients this can be very difficult so a simple aspirin may be able to help this group." Professor Tim Bishop from the University of Leeds who led on the statistics for the study added: "Our study suggests that the daily aspirin dose of 600 mg per day removed the majority of the increased risk associated with higher BMI. However, this needs to be shown in a further study to confirm the extent of the protective power of the aspirin with respect to BMI." However, Professor Burn advises: "Before anyone begins to take aspirin on a regular basis they should consult their doctor as aspirin is known to bring with it a risk of stomach complaints including ulcers. "But if there is a strong family history of cancer then people may want to weigh up the cost-benefits particularly as these days drugs which block acid production in the stomach are available over the counter." "We may be seeing a mechanism in humans whereby aspirin is encouraging genetically damaged stem cells to undergo programmed cell death, this would have an impact on cancer," says Sir John. 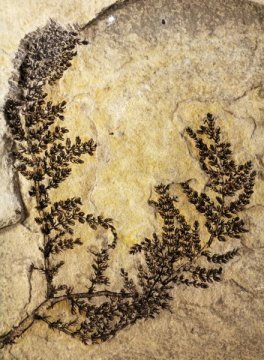 August 17, 2015 - Indiana University paleobotanist David Dilcher and colleagues in Europe have identified a 125 million- to 130 million-year-old freshwater plant as one of earliest flowering plants on Earth.